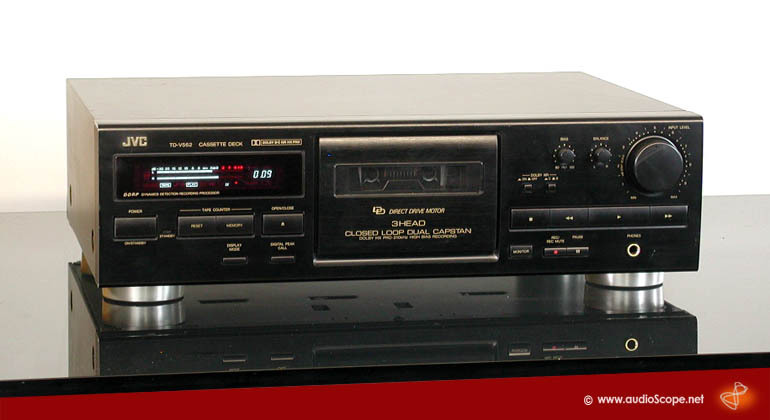 JVC Tapedeck TD-V562 for sale. Mint tapedeck in perfect working order, sounds great. It has many features like 3 heads, double capstan drive, bias adjust, dolby noise reduction, and electric tape loading mechanism. Good condition with light wear.